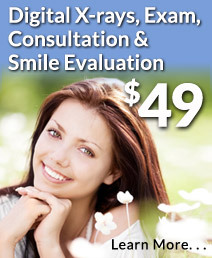 Rancho San Diego Dental will provide you and all your family members ages three-and-up with optimum-quality dentistry using the latest equipment and the gentlest techniques. All of our doctors are experienced in leading-edge, minimally-invasive procedures that can gently give you and your family healthy, beautiful smiles. Going to the dentist should be a pleasant experience for kids of all ages. That’s why we perform laser treatments which do not require any anesthesia or shots. Lasers can also be used to remove decay in a comfortable, minimally invasive way. Often no numbing is needed to do a filling. This is a big hit with the kids, as well as with our adult patients. And with our revolutionary Waterlase laser we can perform children’s root canal procedures less painfully, quicker and better than with ordinary treatment methods. Healing is rapid and there is considerable reduced bruising and swelling when compared to conventional root canal therapy. We use The Wand computer controlled anesthesia system. We also use a gentle computerized non-syringe anesthesia system called The Wand, so that your child won’t be frightened by a scary looking needle. The computer controls the comfort level and degree of numbness so only the needed amount is delivered, and the numbness will wear off before your child leaves the office. Air abrasion is a high-tech dental technique that may be used instead of dental drills to remove small amounts of tooth decay. It uses a drill-less tool to clean away decay or even remove portions of a tooth. This drill-less tool is powered by compressed air pressure, which blasts the small particles against the tooth surface. These particles remove the area of decay in your child’s tooth, allowing us to fill the cavity. 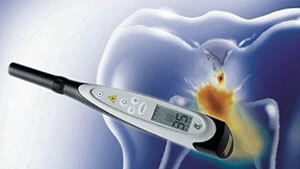 The Diagnodent laser can see cavities that may not be found with other methods. DIAGNOdent uses a precise laser scanning system to scan over all of your child’s teeth to measure the fluorescence within each tooth’s structure. This lets us identify where there may be cavities developing in the small spaces between, on, and around your child’s teeth. The key to effective preventive dental care for your child is to make sure they have regular dental exams and cleanings. Early cavity detection means more comfortable treatment. 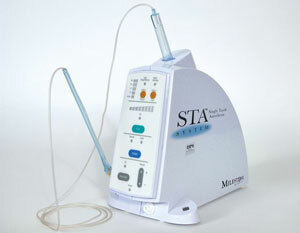 And our ultrasonic scaler uses gentle sound waves to clean their teeth and remove any plaque or tartar buildup. Getting your child regular exams and cleanings will help ensure a lifetime of healthy teeth and gums. During the exam, besides searching for cavities, we’ll look at the development of your child’s dental arches. We’ll check them to see how they’re affected by the adenoids, tonsils and tongue position to help insure that proper growth occurs. 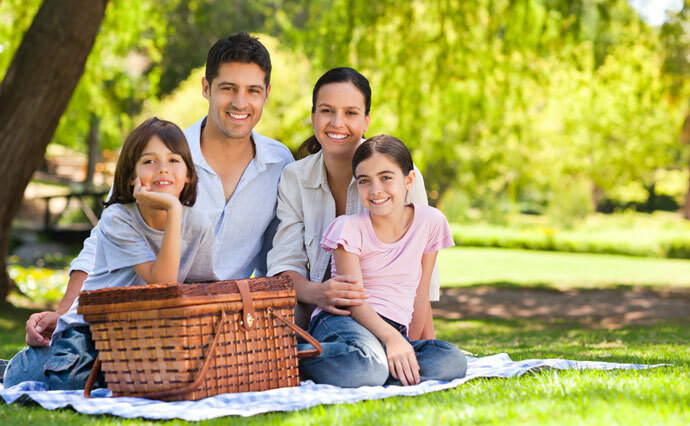 We want to make sure your child develops the very best facial form, bite, and profile possible. If your child has orthodontic-related problems, we’ll make proper treatment recommendations should that need arise. We also patiently instruct children on the best way to brush, and may discuss the advantages of electric and sonic brushes in the fight against cavities. Our office is also quite involved in nutritional counseling since diet is a prime factor in cavity formation. If appropriate, we’ll discuss fluoride and “laser bonded” sealants used to help fight cavities. We enjoy treating the entire family and have helped children of all ages to feel comfortable and relaxed while getting their dental care. Starting at age three we like to have children come in with a parent, sit on your lap, and watch as you get your own teeth cleaned. This way, they’ll see dentistry isn’t anything to be scared of. Then we’ll give your child a tour of the office so they can become familiar with our practice. We want your child’s first visit to be a fun, rewarding experience so that they’ll never be afraid of the dentist.